About Us . : Sequins and Sand Resort Wear :. 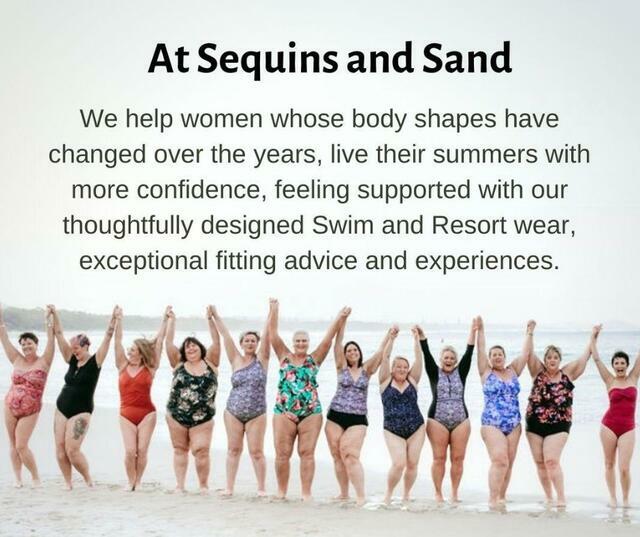 At Sequins and Sand, the promise is simple: we want to help busy women get their summer holiday groove back, to be able to step out onto that sand feeling confident - and fabulous! We are dedicated to helping women embrace their love of summer all over again. And if it's been a while since you stepped out onto the sand in a swimsuit, or if your confidence is shaken, then welcome home. Here you'll find a gentle hand up to have you loving summer once again. If you're heading off on an eagerly anticipated summer holiday, we've got what you need to get you ready in a snap. No skimp. No frump. #CossieConfidence. We bring busy women a collection of must-have resort wear and holiday necessities, all in one place where we are always open at www.SequinsandSand.com.au. 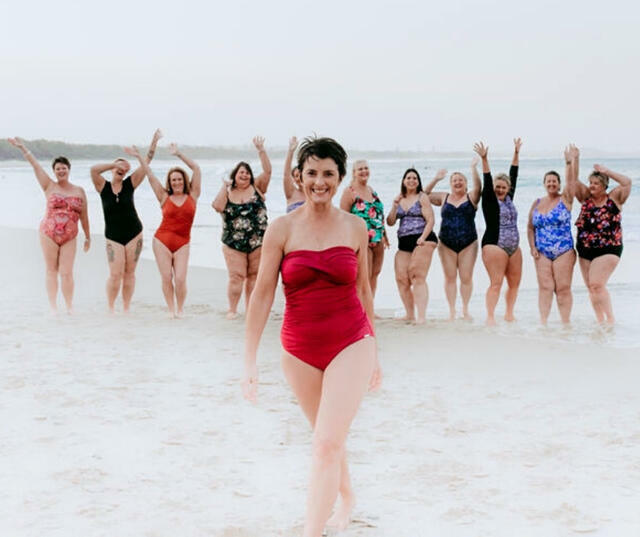 All but one of our brands are Australian labels, thoughtfully stylish resort and swimwear brands in sizes 10-30 to choose from. Everything is hand-picked for its fabulous fabric, fit, colour and versatility. With Kaftans, swimwear, summer dresses, stunning Summer Jewellery to transform your pieces from day to night, Beach Bags that pack flat on the bottom of your suitcase and Hats that will squish and spring back, we're committed to helping your find the right piece whatever your shape or size. On hand to provide stylish and simple solutions for effortless beach to bar dressing and summer suitcase bliss. 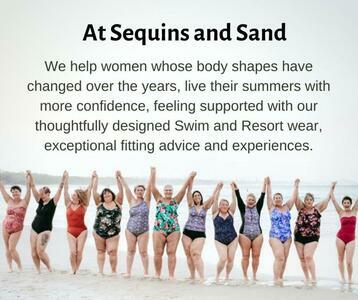 Still not sure if something will fit or suit you, then why not send us your measurements and what you'd like to get out of your swimwear in our quick and confidential Find Your Fit survey. We'll take your answers on board and come up with the best fit options to get you on your way. Brisbane girls, why not book a 1:1 Fitting in our Ashgrove Studio! Find us at 60 Frasers Rd, Ashgrove (next to Famished on Frasers and Marche du Macaron). Studio hours are Mon-Sat, 9:30am-3pm. Appointments for fittings can be made during and outside these hours. Just hit the Free Fitting button here to do just that. It can be tricky to shop online, especially for swimwear and even more so if you've not done it much before. That's why we offer a No Fuss Free Returns policy - letting you exchange your items, free of charge (we pick up the postage), until you have the perfect fit and a feel good factor you simply can't ignore. And for those of you who are not so sure about shopping on line, you can call us on 1300 996 256 for phone orders and help. For inspiration and style advice relax and kick back in the Summer Oasis Blog, providing you with your latest summer trends and tips from a team of beautiful bloggers, each experts in their field - from summer destination suggestions to what you should pack. Easy to throw together Looks will show you how to pull it all together and look great on your next precious summer break. Keeping up with the latest deals and what's new is as easy as subsribing to our Newsletter which comes out monthly and weekly in the peak of spring/summer. Subscribe and get 10% off your first purchase! It's easy to do and here's where you can. If you're social (and we are too), then pop over to Facebook and Instagram where we mostly hang out though we're loving Pinterest more and more too. If a private word is more your style, then email us anytime at or give us a call on 1300 996 256. We promise to get back to you withing 48hrs if not right away. Upfront and behind the scenes there is a team that makes all this happen. In the beginning there was Pip and Anita. For the past 6 years it's been Anita. She's responsible for delivering our promise to you. Whilst she gets her hands dirty doing lots of things, her first love is serving you, so when you email in or chat on social media, odds on, she's the girl you're talking to. The amazing (and very patient and calm) Duncan from Studio Outside has been on board since day dot. He's the website's designer, brand graphics legend and custodian. Without Duncan's guidance and knowledge we don't know where we'd be. Working closely with him is Duncan from Chirp, the guru who pieces it all together and keeps us up and running 24/7. We think he has a magic wand and a brain the size of a planet. We wouldn't be where we are today without D1 and D2. We are in awe of them and love them for all they do for us. Manning the studio and lovingly wrapping and sending the orders out are the gorgeous Helen and Naomi. Helen loves the admin side too (thank goodness!) . Eliese and Aimee pop in from time to time too. The beautiful Katie still helps us out with administration from Melbourne where she and Ros were the wonderful girls helping out day to day before we moved to Brisbane. Our Summer Oasis Blog has many wonderful contributors; bloggers who are respected girls in their fields and who embrace similar values to team S&S. It basically has 2 sections - Confidence + Travel and they go right to the heart of why S&S exists and what drives us. We have caring, talented team of writers who add that extra something to the S&S experience. Answering all your questions on style, health and beauty, how to live a sun smart summer and general bits and pieces for those in the fab 50+ set as well as travel tips and secrets you won't find just anywhere. On team Confidence is the amazing Jen from Styling Curvy, Em from Dear Melanoma, Lily from Beholder and Evie from I Am Evie Forster. At the Travel writers desk we have the very experienced Fiona Harper, travel journalist and all round good woman. Slightly envious of her lifestyle, free to venture off to exotic locations far and near, we value her knowledge and skills. Nothing is written and published without Fiona having been there first. Well, that's about it, About Us. Happy shopping and thanks again for stopping by. Here's to your fabulous summer holiday. "Hi Anita! The Tankini is fantastic, great fit. Also wanted to say thank you for your outstanding service, you have been very efficient in responding to my emails and ensuring that my Tankini arrived on time for my holiday. I wish you every success and will definitely be recommending you to all my friends! Thank you so much! "Hello Girls at Sequins and Sand! I just wanted to let you know how impressed I am with your wonderful service! From the kind, down-to-earth, detailed language you use to describe your products on the website, to the cute wrapping, bow and personalised note that you include in the package. I have had a great experience ordering from you and would 100% recommend you to all my family and friends! The postage was so quick and I definitely appreciated that it was free. It gave me such peace of mind when I placed my order that I would be able to send them back for a refund at no expense to myself. The quality of the cozzies that I ordered are of such high quality and I am going to be feeling so happy and confident 'strutting my stuff' on the beach during my upcoming holiday! Thank you again and you can definitely take pride in the top quality service and products that you provide. Lauren. " "Dear Anita and girls, received my cossie, the morning after placing my order, love it! Packaged beautifully further enhancing the buying experience which never disappoints. Quality products, especially for the curvy girls, informative descriptions, great sizing tips and good photos making shopping so easy. Thanks for your efforts they are greatly appreciated. Have a great summer, Therese. " one and only boring swimsuit, worn year in and year out till it fell off. swimmers, I just can't resist. Kaye "